The Margins Guitar Collective is a group of musicians, composers, and activists who are committed to creating new works for guitar from underrepresented composers from around the world. The name, Margins Guitar Collective, comes from the idea that many composers are often pushed to the margins of society as a result of their identities. The collective is now focused on commissioning new works for guitar and supporting these very deserving composers. The first composer to be featured by the Margins Guitar Collective is Brittany Green who is writing a piece for solo guitar and electronics. As a result, the collective is crowdfunding some of the costs that are associated with creating, performing, and producing new music. We are looking to fundraise $300.00 to fund the very first commission for this project. If you are interested in donating to this project, please visit https://www.gofundme.com/marginsguitarcollective. Brittany J. Green centers her work as a composer around her vision to create introspective sound worlds and spaces that engage and challenge audiences. Her music explores the intersection between sound, movement, and poetry, finding new ways to define relationships between them. 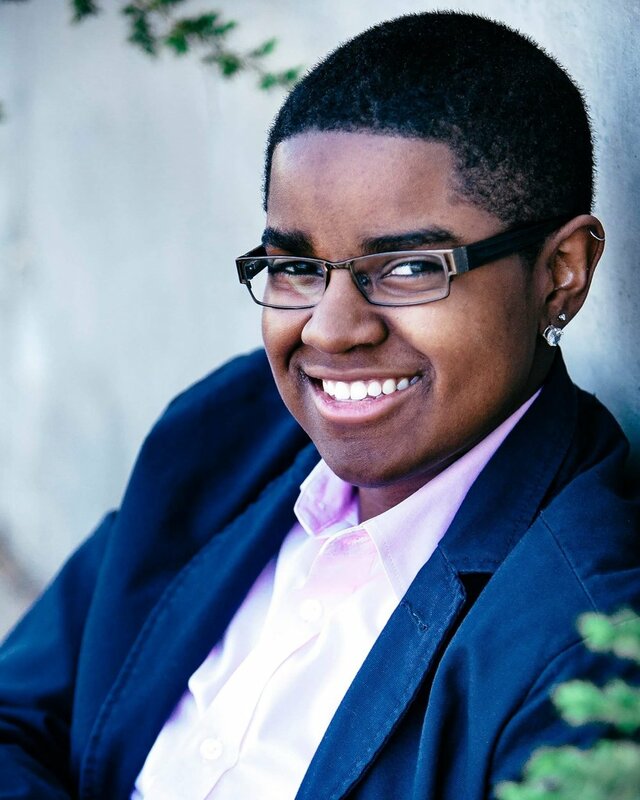 Brittany holds a BM in Music Education (University of North Carolina- Pembroke) and an MM in Music Theory and Composition (East Carolina University). Her music has been featured at NYCEMF, BGSU Graduate Conference, and the Crossing Borders: Women Composers Around the World Concert Series. She has presented research on gestural mapping in music at East Carolina’s Research/Creative Arts Week and Intersection@ Art and Science Symposium. At East Carolina, Brittany was a graduate assistant for the NC NewMusic Initiative and the Young Composers Project. The NC NewMusic Initiative engages the Greenville, NC community in cultivating a new music culture at every stage– commissioning, rehearsing, performing, and recording. The Young Composers project supplements music education programs with composition and music technology curricula. Upcoming events include a performance at the West Fork New Music Festival, a presentation at the NC Music Educators Association Conference, and curating a recital of new works by women composers. To learn more about Brittany, visit www.brittanyjgreen.com. As you may know, there are costs associated with commissioning, performing, and supporting new music. To mitigate commissioning costs, Brittany and I are launching a 10x10 Commissioning Funds Campaign. The campaign will occur from August 15 to September 30. With this campaign, it is our hope to secure funds to commission a new work for classical guitar and electronics. Brittany and I will work closely during the process as she composes what I am sure to be an incredible piece for the guitar. In January 2019 the work will be completed and I will begin preparing it for a premiere performance in Spring 2019. The importance of commissioning this work exceeds beyond our personal artistic desires. While the Margins Guitar Collective is committed to supporting composers from a variety of differing backgrounds, we are especially committed to supporting composers who society has deemed unworthy of the concert stage. Classical works composed by African-American women composers are few and far between. Of these, very few are experimental contemporary works, and even fewer are written for guitar. With the commission of this piece, we will be contributing the voices of African-American women to the classical guitar and contemporary music repertoires. We also hope the commission of this work- a collaboration between two African-American women- will inspire African-American youth to pursue careers as performers and composers of classical music. Here is where YOU come in! For our 10x10 Commissioning Funds Campaign, we are each asking for a pledge of $10 from 10 of our most avid supporters. Should you pledge, your $10 will help fund commissioning costs for a brand new piece of music. Though we are asking for a $10 pledge, we encourage you to give as much or as little as you’d like. Should you be interested, you can make your donation online here: https://www.gofundme.com/marginsguitarcollective. In an act of gratitude for our supporters, we have several recognition tiers for donors outlined below. We hope you will consider being apart of this important and exciting project and we encourage you to share the link below to help spread the word. Thank you for the insurmountable support you have shown over the years.